After dropping its IPO filing two weeks ago, today Pinterest, the social media platform where people can discover and share ideas and content through grids of “pinned” images, filed an updated S-1 where it set the price range at $15-17 per share for a sale of 75 million shares. At this range, the company will raise between $1.125 billion and $1.275 billion, valuing Pinterest at $9 billion at the higher end (or $9.19 billion if you add in the greenshoe, which would raise $1.466 at the top end if the full allocation is taken). That is a tough (or, you might argue, conservative) picture, as the range values Pinterest more than $3 billion below than its last valuation of around $12.3 billion, when it raised as a private startup in 2017. 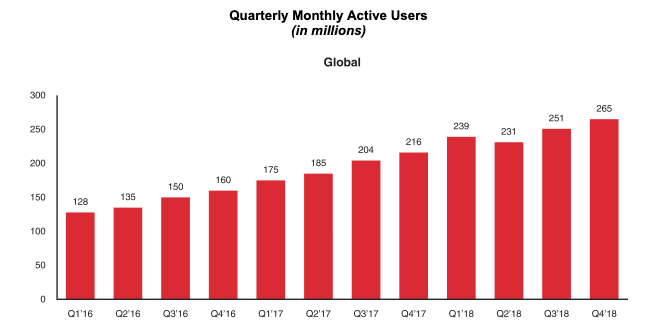 In social media Pinterest competes against the likes of Facebook for sharing ideas and links, and in e-commerce it also a plethora of competitors, including Amazon, eBay and more.